Gain peace of mind knowing you will have a private vehicle ready to take you from and back to San Francisco International Airport. 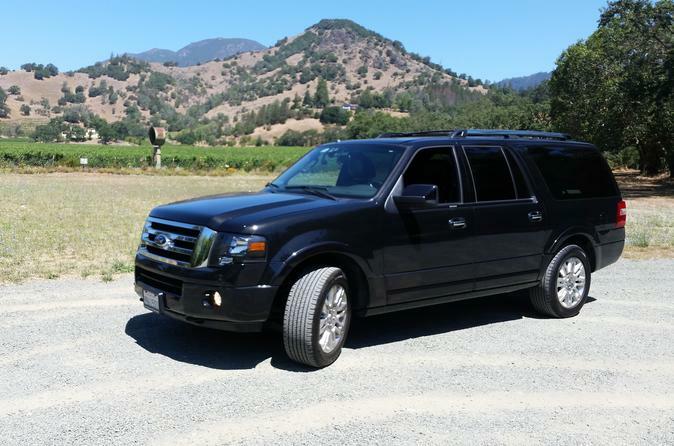 This personalized transfer service provides hassle-free transport from SFO to your hotel or private residence, and then returns you in a hybrid, sedan or SUV (depending on the size of your group of up to six people). Skip the stress of booking a taxi or finding a shuttle service round-trip from SFO upon arrival in — and departure from — San Francisco. You will have direct contact with a private chauffeur to ensure no gaps in communication. Simply enter your details when you book, pay in advance, and then show your voucher to your driver. Get comfortable in your spacious sedan or SUV with plenty of luggage storage. You'll be assisted with personalized door-to-door service. For your return trip, your transport will be waiting at your accommodation at the prearranged time. End your trip with ease, and arrive at San Francisco International Airport in time for your flight.